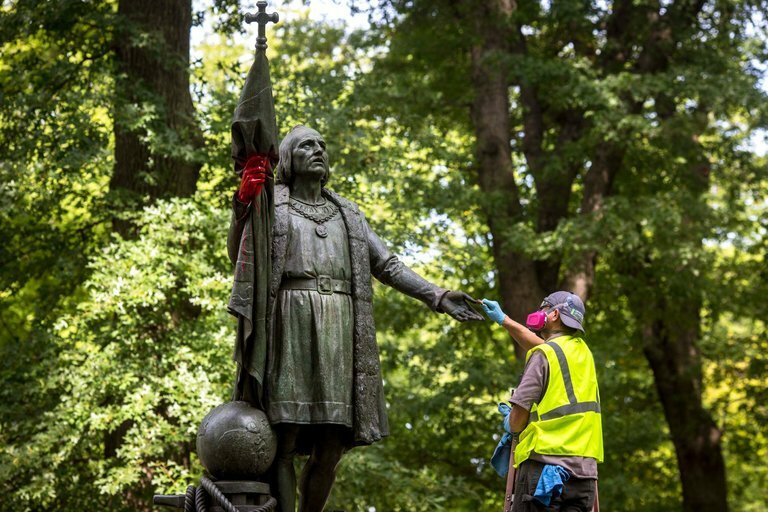 A statue of Christopher Columbus in Central Park was vandalized last night: the hands were painted red and graffiti on the base read “Something Is Coming” and “Hate Will Not Be Tolerated.” The incident was reported to the police by a parks worker at 7 AM this morning, September 12, 2017. The bronze statue was dated 1892, according to the New York Times. I’m sorry I didn’t post this sooner. The photo was by New York Times photographer Dave Sanders.